Learning a language is one thing when you’re young, impressionable and you haven’t fully learned your first language yet, but what about learning a new language as an adult? It can be completely intimidating, right? Signing up for a language class is exciting and fun, however you may also be faced with other classmates who are pretty advanced. At this stage in life, many people want to learn a new language to use in everyday life. Perhaps you have a spouse who hails from another part of the world and speaking with his or her family means adapting to a new language, or maybe your job would be smoother if you could communicate more easily with coworkers. Whatever your goals, the process can be a bit daunting, but don’t get discouraged! 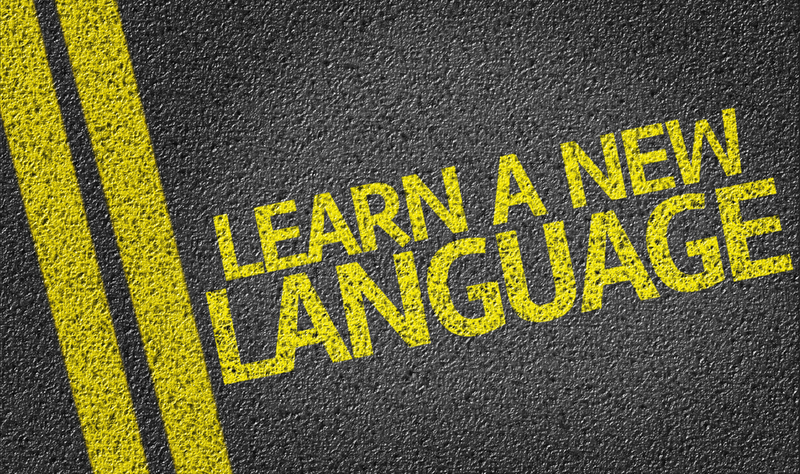 Here are 5 tips on learning a new language with ease. Be OK with the fact that your new language isn’t going to come out perfectly right away. In fact, it might never come out perfectly – but that’s OK. It’s not your native language and, you get loads of points for trying! You’ll probably be a little nervous in your class or even when traveling – but trying and muddling through the tough parts will help you learn more, so don’t be afraid to try. Scoop up some international newspapers and magazines. What a fun way to put your newly honed skills into action. Between all the stunning images and the long articles, many of these newspapers and magazines are a feast for the eyes and are a great way to get a little dose of culture. You can flip through and decide exactly what type of article you feel like tackling – not nearly as overwhelming as a book! Be sure to challenge your language knowledge every day. Keeping everything you’ve learned at the forefront of your mind is essential for getting to that point where your new language is like second nature. Giving yourself a few minutes each day to focus on what you’ve learned so far will help the words start to roll off your tongue. Learning a new language is alot like riding a bike – practice, practice, practice! Put your skills to practice by getting on the web. Sounds, silly – but think about all those web pages out there written in the language you’re trying to learn. From fashion blogs to international news, the web is loaded with ways for you to practice reading (and understanding!) in your new language. Skip the online translators, and give yourself a chance to read and take it all in. You’ll probably surprise yourself with just how much you actually understand. Don’t be afraid to ask questions! If you’re taking a class and everyone is speaking a mile a minute in a new language that you don’t yet understand – you’re going to need to make yourself heard. And that means, if you have a question – ask it! Don’t be shy and be sure to get total clarification before moving on. If you’re at home with a question – turn to the web and Google it! Have you ever tried to learn a new language? How did it go?